Lower price for 12 or more. 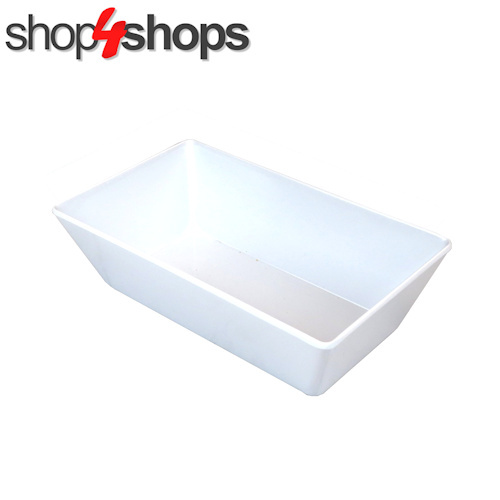 Description: Insert for Melamine 'Smart' Display Bowl for fresh food displays. Use to 'dummy up' your displays using less stock. Insert Size: For Small Size 1 Smart Bowls. 250 wide x150mm deep x35mm high. Made In: Designed in Australia. Manufactured in China. 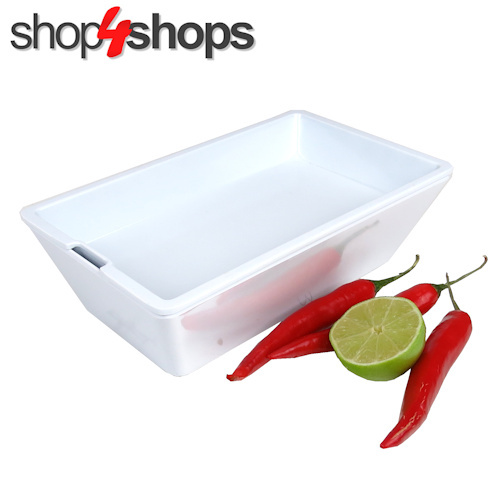 Made From: 3mm thick, premium, commercial quality, food-contact grade melamine plastic. 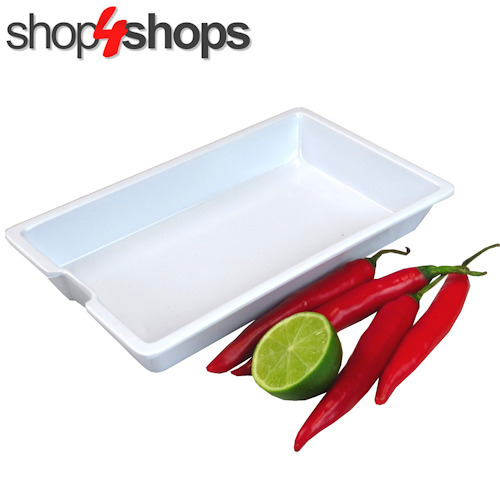 Heat Resistant: Suitable for use from -20 to +120 degrees Centigrade. 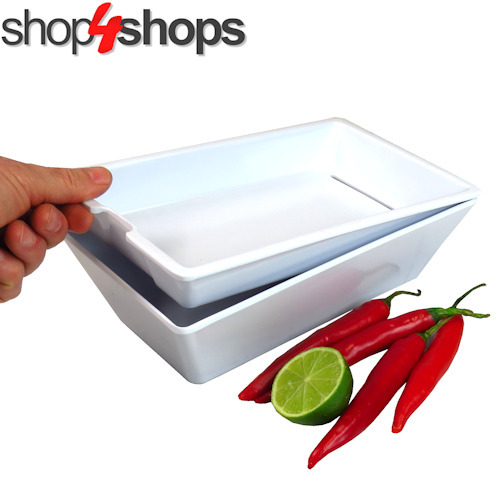 Companion Products: Smart Bowls and clear lids sold separately. Availability: Large stocks warehoused in Australia. Most orders despatched in 24-48 hours plus delivery time. Delivery Charges: Calculated at the Checkout. Prices: Apply to online orders only. Quantity Discounts: As shown above. Click on "Request A Quote" for discounts for 384 or more Smart Bowls. Special Pricing: May be available for national retail chains including IGA, Woolworths, Coles, FoodWorks and Spar. Click on "Request A Quote" above and fill in your details to request more information. Chillies and Lime not included. These have been added to provide relative scale.